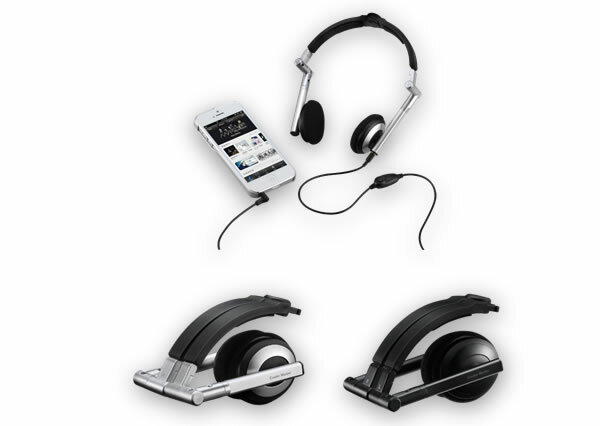 Cooler Master today introduced the HC-300 and HS-500 headphones to their line of mobile products. These headphones feature world class sound for people on the go - business people, students and travelers. The HC-300 and HS-500 rival high-end headphones that cost much more. They both use HDSS® technology. High Definition Sound Standard is a groundbreaking technology that eliminates distortion and allows the speaker to move more freely. The result is crystal clear clarity across the entire frequency response range. Hear sound the way it was meant to be heard. 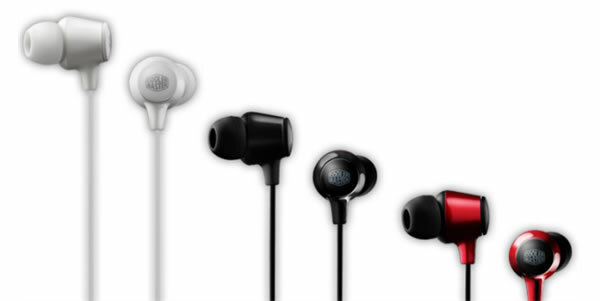 HC-300 are a pair of ear phones ideal for your smartphone. Enhanced Bass flows through your skull yet is subdued enough to give the sound fidelity the richness it deserves. Adjust the volume, control music and video playback, and answer or end calls on your smart phone quickly and easily. Included are 3 pairs of soft silicone ear cushions. So you'll feel comfortable while listening - no matter your ear type. The HC-300 is available in white, black or red. The HS-500 is completely portable. The ear cups and headband can be folded up and places in the included carrying case. It has crisp highs, a clear midrange and deep bass thanks to 34mm diameter NdFeB drivers with CCAW voice coils. 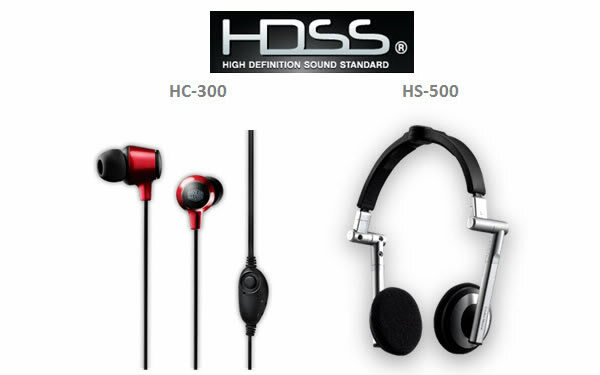 HS-500 has a high quality aluminum housing. That makes it strong and tough to break. Yet it's light. Perfect for the traveler.